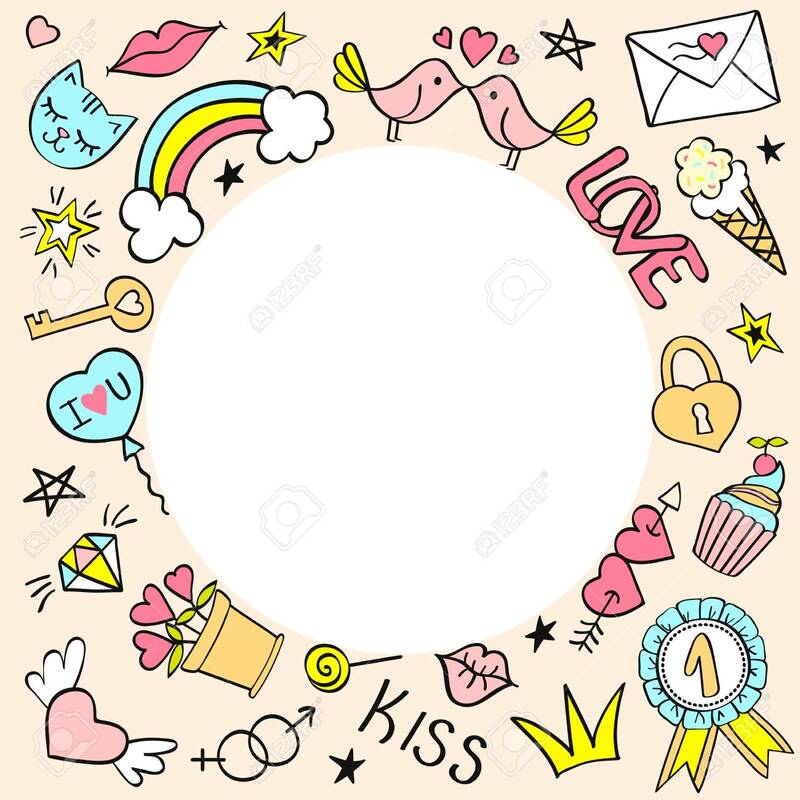 Round Frame With Hand Drawn Girly Doodles For Valentines Day,.. Royalty Free Cliparts, Vectors, And Stock Illustration. Image 100243756. Vector - Round frame with hand drawn girly doodles for valentines day, birthday cards, posters. Vector illustration. Round frame with hand drawn girly doodles for valentines day, birthday cards, posters. Vector illustration.